Business Development : The incumbent is responsible for generating new business for consulting practices in designated sectors. Has to Conceptualize & implement strategies for acquiring business from new clients and effectively using existing accounts to reach targeted sales numbers. Delivery : Responsible to deliver Strategic advisory assignments with ultimate responsibility for client satisfaction and on time delivery. PR and communication : VP Strategy will be responsible for building awareness about the firm's expertise and creating industry leading reputation for Agri and food practice to foster industry leading reputation. Team Development and Management: As a Strategy Lead, he/she will be responsible for building, grooming and managing the Team. 1. MBA from top tier B School plus significant demonstrated experience Strategic consulting role. Experience in Life Science (Agriculture & Food) domain will be added advantage. 4. Proven ability to attend to detail and work independently as well as capability to Lead Team. 5. Strategic thinker and Self-starter who can work under pressure, manage multiple projects and details, meet inflexible deadlines on own initiative and find creative solutions to problems. - Since its genesis in 1985, Sathguru has distinguished itself as a multi-disciplinary consulting firm engaged in innovation advisory & technology commercialization, strategy advisory, corporate finance & transaction advisory, regulatory advisory, audit & assurance services, international development projects, executive education and vertical focused ERP Solution. - With an unparalleled pool of specialists with strong analytical competencies, vast industry experience and a successful track record, Sathguru's innovation advisory group engages with public and private enterprises in all aspects of technology transfer, innovation funding, structuring research and development collaborations and stewarding technologies to market. - Sathguru is one of the largest strategy and management advisory firms for the life science sector that covers a broad spectrum of industries including agriculture, food, retail, animal sciences and health care. - Sathguru also advises Government agencies and other policymakers. In the International Development arena Sathguru is retained by agencies such as USAID, World Bank, Bill & Melinda Gates Foundation to manage and execute projects with focus on innovation, technology adoption and capacity building in developing nations. 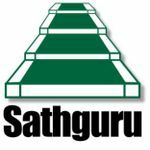 - Sathguru's ERP solutions in Retail, Sugar, Textile, Microfinance, Healthcare, Manufacturing, Seed Processing, Chemical & Pharma industries are incomparable. - Sathguru's Center for Executive Education (CEE) in collaboration with Cornell University focuses in niche areas of Agri-business, life sciences, Bio safety, Food Safety, Clinical research & Management and other related sectors with a faculty of experts drawn from Cornell and Sathguru. - Over the last three decades as an organization of repute, Sathguru is the favored business partner by some of the leading world class academia such as Cornell University, University of Florida, Tuffs University, Sheffield University and National Research Institutes globally. Sathguru is also part of the DFK global network of firms and a gold partner for Oracle.